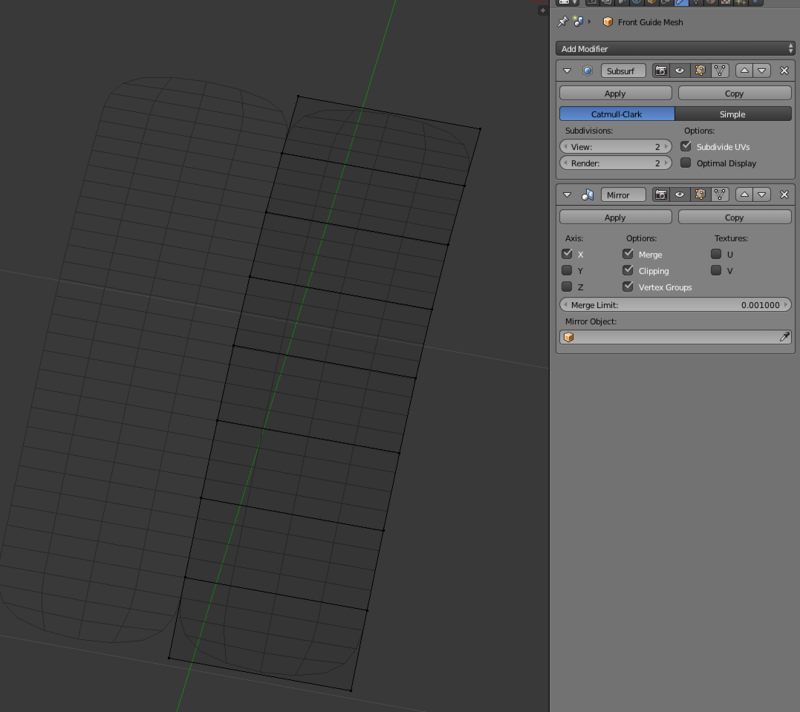 I've extruded these vertices to the center using mirror, I have merge and clipping selected, an subsurf mod is active. For some reason in the center at the top, I've got an issue where it's not fully meeting up. I don't have extra vertices. There shouldn't be that open area, but I can't figure out why it's there. I have no extra vertices. I just extruded the vertices across the x-axis to the center to meet up. Argh. The mirror mod needs to be above the subsurf so it's completely mirrored.